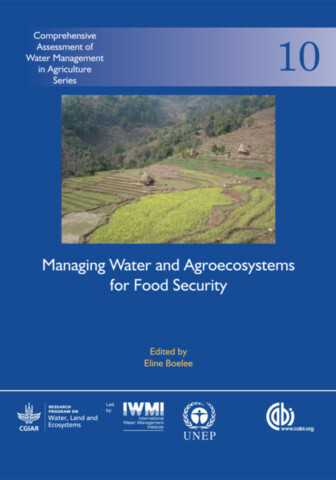 Eline Boelee is a specialist on the linkages between water, health, and ecosystems. After completing a MSc in irrigation engineering in 1992, she did her PhD research on environmental control of schistosomiasis in a large irrigation system in Morocco. She joined the International Water Management Institute (IWMI) in 1999 and worked as interdisciplinary researcher, managing international multi-disciplinary projects and building capacity on better planning and management of agricultural water resources to enhance health and environmental sustainability, considering issues such as multiple use water services, water storage, health impacts of water resources development, ecosystem services in agroecological landscapes, and ecology and environmental control of water-related diseases. Dr. Boelee has working experience in Sri Lanka, Ethiopia and Morocco, as well as in Burkina Faso, Kenya, Mozambique, Uganda, Azerbaijan, Pakistan, Senegal, Egypt, Portugal and Côte d’Ivoire. In 2012 she started her own company, Water Health, based in the Netherlands.